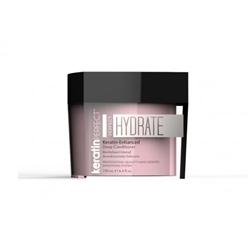 We’ve been loving everything Keratin Perfect’s been coming out with lately so we couldn’t wait to try out their PerfectHydrate deep conditioner! It did not disappoint! This deep conditioner is definitely a must have for anyone with keratin treatments or dry and damaged hair. We broke down all of the things we loved about the product and included a little description below. We hope you love it as much as we do! Description: The KeratinPerfect PerfectHydrate Keratin Enhanced Deep Conditioner is perfect solution for people who are suffering from dry, damaged hair. This daily deep conditioner contains rich hydrators that will stop chronic dryness, leaving your hair feeling silky and smooth. The nano-keratin molecules go deep into the hair shaft to strengthen hair from within and repair the natural moisture barrier. Feel & Scent: This deep conditioner has a nice, light, and non-greasy feel but still has a nice slip making it easy to apply and disperse evenly while conditioning. A little bit of this conditioner does a long way! The scent? Amazing! It’s a very fruity, unique scent that wildly reminds me of a bowl of fruity pebbles and is very fragrant at first sniff but leaves just enough scent in the hair to make your hair smell fresh and clean without being overpowering. Love, love, love it! Usage: I started by washing my hair with the KeratinPerfect PerfectCleanse shampoo. I used an amount equivalent to a large gum ball of the PerfectHydrate Deep Conditioner and let it sit on my head for 10 minutes without a cap. Although, this is the perfect treatment to throw a shampoo cap over while enjoying a nice relaxing bath! 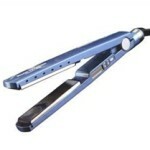 It rinses out cleanly and doesn’t leave a greasy build up on the hair at all! Results: This is an awesome deep conditioner! It’s definitely a perfect follow up weekly treatment for those who have keratin treatments and like to maintain that silky softness as long as you can. 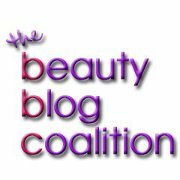 This would also be perfect for anyone with dry, damaged hair that just needs some extra TLC. It left my hair super shiny, soft, and manageable. I would say it even helped cut down my drying time afterwards! Give it a try and stay hydrated! ← Fact or Fiction: Clarifying Shampoo is Bad For Hair.